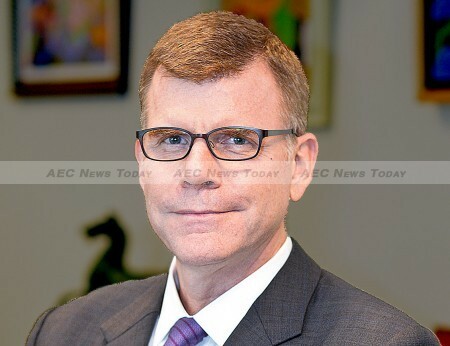 Opening statement by ADB vice-president Stephen Groff at the 20th Ministerial Conference of the Greater Mekong Subregion Economic Cooperation Program held 9-10 September 2015 in Nay Pyi Taw, Myanmar. 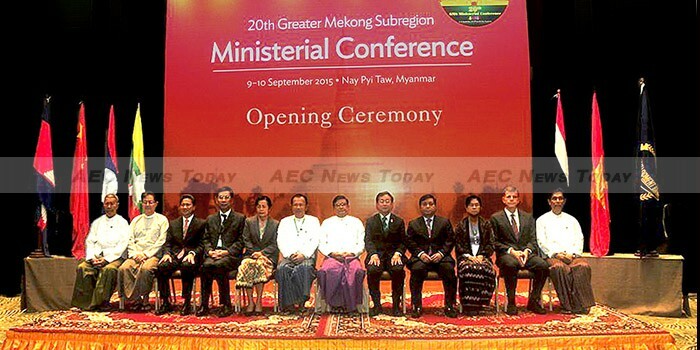 I am very pleased to join you at this 20th Ministerial Conference of the Greater Mekong Subregion Economic Cooperation Program (GMS-ECP). I would like to thank our host, the Republic of the Union of Myanmar, for their impressive work in organizing this conference, for the hospitality extended to all of the participants. I would also like to express my sympathy to the government and people of Myanmar in light of the human, physical and social losses resulting from the recent devastating floods and landslides. The Asian Development Bank (ADB) is assisting the government in disaster relief, recovery and rehabilitation. I would especially like to thank His Excellency Dr. Kan Zaw, GMS Minister of Myanmar, for welcoming us so graciously, and for chairing our meeting. I am honored to co-chair this meeting with him. Today’s meeting is a milestone for the GMS for a number of reasons. This is the 20th GMS Ministerial Conference, marking more than two decades since the first GMS Conference on Subregional Cooperation was hosted by ADB, in Manila, in October 1992. That first GMS Conference was based on a simple idea: that the countries in this subregion, most with a shared history of conflict, were all eager to rebuild their economies. An idea that the countries sharing the Mekong River – with a closely linked cultural heritage – could benefit from cooperating to address common challenges and opportunities. Since 1992, GMS cooperation has yielded tremendous development benefits for the subregion and its people, including greater connectivity through transport, power, and telecommunication infrastructure links; stronger institutional linkages and networks; and growing capacities across a wide range of sectors and activities, such as tourism, agriculture, health, education, and the management of natural assets. This Ministerial Conference also marks another important milestone, as it will afford us an opportunity to review the first progress report on the GMS Regional Investment Framework Implementation Plan (GMS-RIFIP), following last December’s 5th GMS Summit. 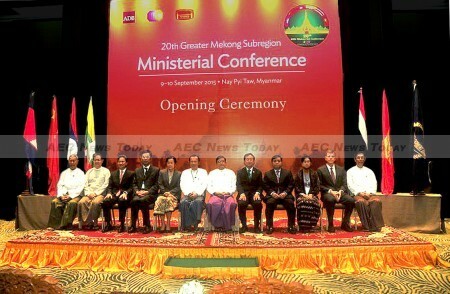 The Implementation Plan operationalises the GMS Strategic Framework, which was launched at the 4th GMS Summit, also here in Nay Pyi Taw, in December 2011. The Implementation Plan sets forth a concrete pipeline of new generation GMS projects that respond to the more complex challenges of a mature subregional cooperation program. Our Ministerial Conference is particularly noteworthy because it is taking place on the eve of an emerging global commitment to advance the sustainable development agenda in both developed and developing countries. Later this month, the 193 members of the United Nations (UN) will adopt and endorse the Post-2015 Development Agenda, and its core 17 Sustainable Development Goals, at the United Nations Summit in New York. As you know, 2015 also marks the end point of the Millennium Development Goals (MDGs). The subregion’s achievements in meeting and surpassing certain MDG targets, like those on poverty reduction, have been remarkable. Of course the GMS still faces many emerging challenges, including rising inequality, rapid urban development, climate change, and sustainable management of the environment. The new sustainable development goals take broader aim at a wide range of development challenges: economic development, social inclusion, and environmental sustainability. The work already being undertaken in the GMS, as reflected in the GMS Strategic Framework, dovetails remarkably well with the new sustainable development goals. The new goals call for the expansion of infrastructure, for greater access to modern energy, for the promotion of sustainable land use, and for stronger partnerships for sustainable development. These goals are already cornerstones of the GMS program. Thus, the GMS stands well-positioned to meaningfully advance the new Post-2015 Development Agenda. In July this year, I was fortunate to participate at the Third International Conference on Financing for Development in Addis Ababa, Ethiopia. One of the key takeaways from the Conference was that, given the huge resource requirements to achieve the SDGs on a global scale, we need to be innovative and strategic in mobilizing resources, particularly financing. Financing is the linchpin for the success of the new sustainable development agenda, for the advancement of the GMS Strategic Framework, and for advancing the priority projects in the Regional Investment Framework Implementation Plan. We in the development community have become used to thinking mainly of official development assistance (ODA) when it comes to development finance. Yet ODA flows in the Asia-Pacific region are only about $26 billion a year – only a small part of the $1 trillion a year or more estimate of what is really needed to achieve the Sustainable Development Goals in the region. Moving forward, in the GMS and elsewhere, we will need determined, consistent, and systematic efforts to leverage additional resources, particularly private sector funds, in support of this new development agenda. The sustainable development goals complement the GMS roadmap for a more inclusive and sustainable subregion. All of us – governments of the GMS countries, the private sector, international development and financial institutions, civil society, and other GMS stakeholders — have an important role to play in moving these agendas forward. In an increasingly interconnected world, no country can go it alone. Cooperation has always been a cornerstone of the GMS, and continued cooperation will be the key to further advancing development in the subregion, and in ensuring progress on the Post-2015 Development Agenda. The GMS Program, with its record of pragmatism and tangible results on-the-ground, is well positioned to significantly contribute to the achievement of these new global goals in three main ways. First, the multi-sectoral approach enshrined in the GMS Strategic Framework will allow for greater integration and coordination across sectors to achieve the Sustainable Development Goals. Second, the guiding three “Cs” of the GMS, “Connectivity – Competitiveness – Community”, can be main drivers in achieving the three pillars of sustainable development: economic, social, and environmental. Finally, the Regional Investment Framework Implementation Plan, the backbone of GMS cooperation in the medium term, can serve as a platform to not only mobilize resources, but to also help forge partnerships with the private sector, and other stakeholders, for achieving the Sustainable Development Goals. This is an ambitious agenda – one that will require a lot of hard work over many years going forward. But let us make this conference count as a first step towards taking action for inclusive and sustainable development.. Thank you, and I wish all of us a productive meeting.